A recent report in the Wall Street Journal claimed that Apple Music was on pace to surpass Spotify in subscribers. That sounds amazing! But it’s not quite so simple. The calculation was made by looking at Apple Music’s current number of paying subscribers (about 36 million), comparing it to Spotify’s paid subscribers (about 70 million), and noting that with Apple Music’s current 5 percent growth rate it will overtake Spotify, which has a 2 percent growth rate, this summer. There are a couple of important catches. First, it ignores Spotify’s free tier, which stands at over 140 million. Apple Music doesn't have a free tier. Second, it assumes that the growth rate of these two services doesn’t change. As Apple Music gets bigger, its growth rate is likely to taper off, but who knows when that will happen. 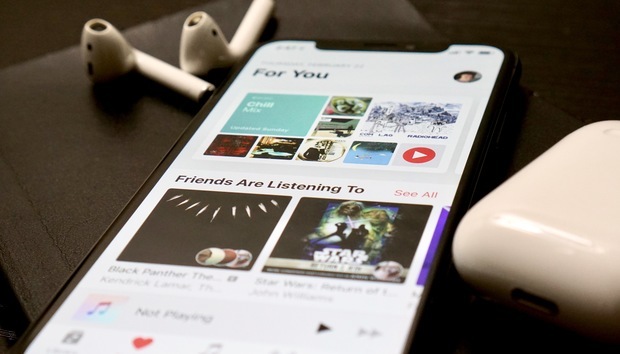 Apple Music's catalog is perhaps the strongest of any subscription service, but the app, particularly on iPhone (its lead platform), is full of issues that should be relatively easy for a company of Apple's size to address. Here are a few of the things we think the company should do to improve Apple Music on iPhone. Wherever you are in the Apple Music app, the track you’re currently listening to is represented by a small banner just above the bottom row of tabs, along with a play/pause button and a next tack button. Tap it and a “card” slides up, obscuring most of the screen. To start with, in its collapsed state it doesn’t show enough info. There’s plenty of room for the artist name and track time remaining. When expanded, it doesn’t use space well and hides useful controls below the bottom of the screen in a non-obvious area. With the AirPlay and overflow menu (the three dots) at the bottom, it doesn’t even look like you can scroll down. Below that page break, you’ll find the shuffle and repeat controls, along with the Up Next list. Oddly, “lyrics” isn’t a button, but a separate line with a “show” link on the right. The Lyrics control is duplicated in the overflow menu, too. Now Playing needs more info when collapsed, and the Shuffle and Repeat buttons shouldn't be hidden beneath the fold. Shuffle and repeat belong on the main Now Playing card, and so do the love/dislike buttons that are stuffed into the overflow menu. What’s more, you should be able to move forward or back through the Now Playing list by swiping left and right on the album art. It’s sort of a running gag on the internet that Apple Music’s recommendations are terrible. Sometimes it suggests similar artists that are not even remotely close to what you were listening to. Sometimes the custom radio stations and playlists that seem to ignore your music preferences. Everyone agrees that recommendations get better after weeks of studiously rating songs with the Love and Dislike buttons, but it needs to be way better, way more quickly. Apple’s obsession with privacy and anonymizing data might make it harder to recommend great songs, but there’s just no excuse for a song recommendation system that causes me to skip half of the tracks it suggests. People want their music to follow them everywhere, and that’s one of the best things about subscription services. But one does not always have access to iTunes or their mobile device. Let us log into Apple Music in a web browser and play our library music, listen to radio stations, and cobble together playlists. A web presence would make it much easier to share playlists (more on that later) and would give everyone easy access to the free radio stuff: Beats 1, News, and Sports. Maybe that kind of easy exposure would help convince more listeners to sign up! The social aspects of Apple Music are a disjointed mess. The Connect service, where users follow artists and can see a stream of posts by them promoting new releases and the like, is a failed experiment. Nobody talks about it, it has taken an ever-shrinking presence in the app, and the signal-to-noise ratio is terrible. It’s time to shut it down. 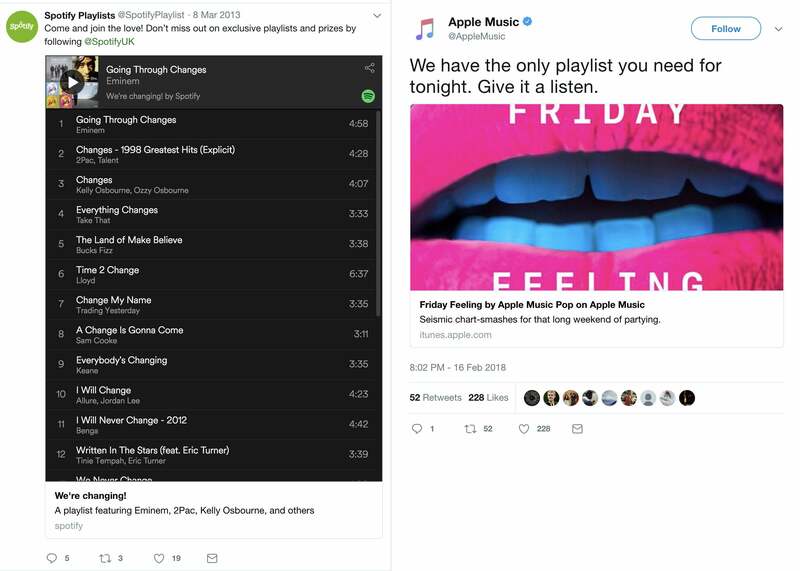 Sharing playlists on Twitter via Spotify (left) vs Apple Music (right). iTunes links just aren't a great solution. Apple wants to show me what all my friends are listening to, and while that sounds like a good music discovery concept on paper, in practice it’s not that useful. I might share very similar musical tastes with one or two friends, and like some of the same things a lot of my friends like. But lumping all the things all my friends are listening to into the same bucket just doesn’t work. It’s yet another way Apple wastes valuable, prominent screen space to suggest music I don’t like. 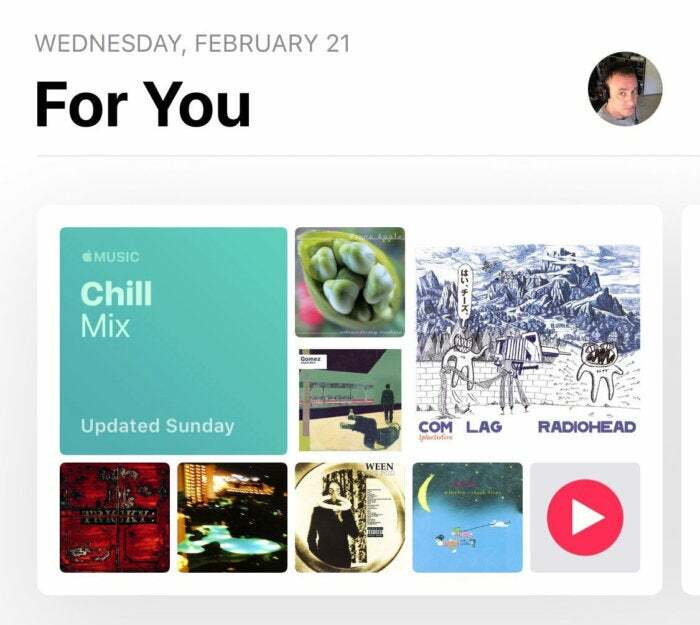 Apple should stop trying to turn Apple Music into its own social network and embrace the networks people already actually use. Let us share albums, artists, tracks, and playlists via Twitter and Facebook by embedding a web player, like Spotify does. Right now, sharing to these services produces a static iTunes link that takes you to a webpage with nothing but a nearly useless preview button. Sharing playlists in general could be better (see the previous section), but at least public playlists show up in search. Now if only Apple Music would let me invite friends to edit a playlist with me! It’s the perfect thing for stringing together that Friday night party playlist or “greatest hits” lists. That’s the kind of social interaction that drives the love of music, not major labels pushing marketing at you through Connect. There are three personalized playlists on the For You section: Chill Mix, New Music Mix, and My Favorites. The first two combine Apple Music editorial picks and an algorithm that uses your personal music tastes to generate a unique playlist for you every week. These are awesome! We just need more of them. Spotify’s Discover Weekly is a huge hit in part because it surfaces forgotten favorites and “new to you” hits from years past. I’d love to see something similar on Apple’s service. By contrast, Apple’s New Music Mix playlist is closer to Spotify’s Release Radar. I love Spotify’s Summer Rewind and Time Capsule, too. I'm all for a good Chill Mix, but I want a lot more of these personalized, dynamic playlists. These dynamic, personalized, regularly updated playlists are a great way to discover music and to show off Apple’s blend of professional curators and algorithmic personalization. I’d love to see several more, including a workout playlist and a few daily playlists. You can already ask Siri to “play some workout music” and get personalized picks, so it seems Apple’s halfway there already. How about a dark theme? The entirety of iOS needs a proper dark mode, but until that happens, how about one just for Apple Music? The glaring white interface is a huge distraction in your car at night, and it’s eye-blindingly bright when you’re winding down at home for the night. A proper Apple Music dark mode should have an on/off toggle and also allow you to set scheduled hours. Crossfade is when the next song in the queue fades in just as the song you’re listening to fades out. It makes a small, smooth transition so there’s no silence. Gapless playback and crossfade options are common to music apps like Spotify and even iTunes, but absent on the Apple Music app. Some people like it, some don’t, but it’s terribly useful when playing music for a party or background music while you’re working. The gap between songs, and the sudden transition from one to the next, can be jarring in these situations. Give us a crossfade toggle to eliminate it if we want to. This is another feature of iTunes that needs to make the jump to mobile. 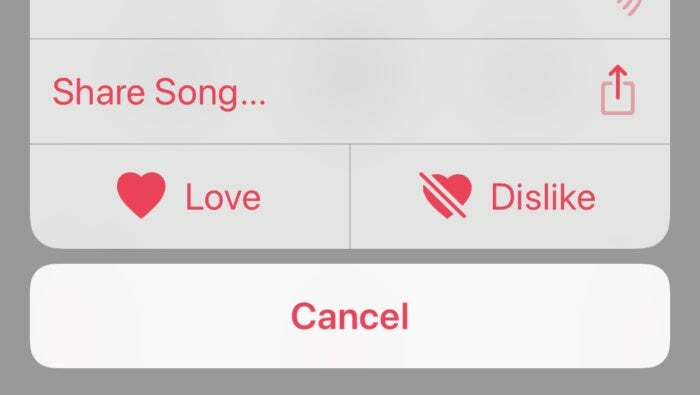 Using the Love and Dislike buttons are critical to improving Apple Music’s understanding of your taste in music. But in order to use them, you have to unlock your phone, open Apple Music, open the Now Playing card, hit the overflow menu, and then you can finally tap those buttons. The Love and Dislike buttons are far too imporant to be buried inside an overflow menu on the Now Paying card. 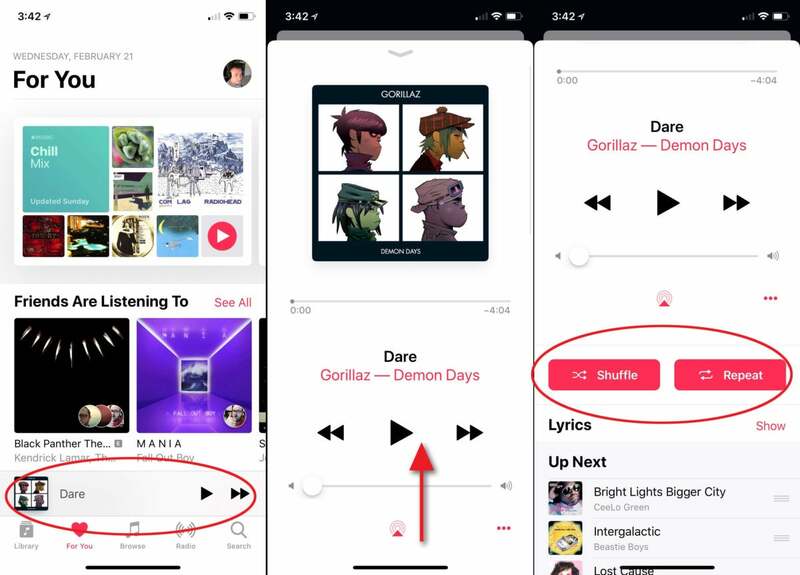 Not only should they be front and center on the Now Playing card, they should appear on the lock screen and Control Center music controls. One of the main navigation tabs at the bottom of the Apple Music interface is Search. Once you’re there, you can type in search phrases, but you have to toggle whether you’re searching Apple Music or your own library. It’s functional, but it’s sort of a waste of space and it’s not the most intuitive place for this function. The app already has separate sections for your library and everything on the service (that section is somewhat confusingly labeled “Browse.”) Each one has a big chunk of white space up top—just put search bars there! Not only is it more intuitive to search the section you’re already in rather than head to a global “search” pane and then choose a section, but it would free up the fifth navigation tab for something else. That would be a great place to put Activities and Moods, which are great but under-utilized features. Every section in Apple Music is laid out differently, with different combinations of text links, album art of various sizes, and lists that scroll horizontally in some places and vertically in others. The different sections can't really be identical, but they could be a lot more consistent than they are now. For example, in the Library section, you have text links to Playlists, Artists, Albums, and so on. To make it match the For You section, these could be horizontally scrolling truncated lists with album art and a “See All” link to show the whole list. The Library section has an Edit button that lets you add or remove categories and reorder them. The For You section doesn’t. Why not? It feels like every tab in the Apple Music app behaves differently, and we have to learn four different ways of navigating and locating what we want. Lists (whether playlists, artists, or albums), should be sortable by name, artist, album, and track. And they should contain more info on the line, like track length. The recently played list shows albums and playlists, which makes sense, but there should also be a way to view your play history in detail. Give us a timeline feature that shows every track we listened to for more than 20 or 30 seconds (so it doesn’t show songs we skipped), from any source: radio, playlists, albums, activities, you name it. Smart Playlists are a great way to sort and filter a big music library. It’s just the thing for that all-you-can-eat Apple Music subscription. But you can only create them in iTunes on your computer. They sync over to your phone just fine, but we want to create them there. Smart Playlists are one of the best features of iTunes, and should really be a part of the mobile app. The power and flexibility of Smart Playlists is way beyond what other music services offer on mobile, and it’s just sitting there in iTunes, waiting to be ported over to the mobile app. To get to the equalizer in the Music app, you’ve got to jump out to the global Settings app on your iPhone or iPad. When you get there, you’ll find a list of presets but no way to tweak the EQ yourself. 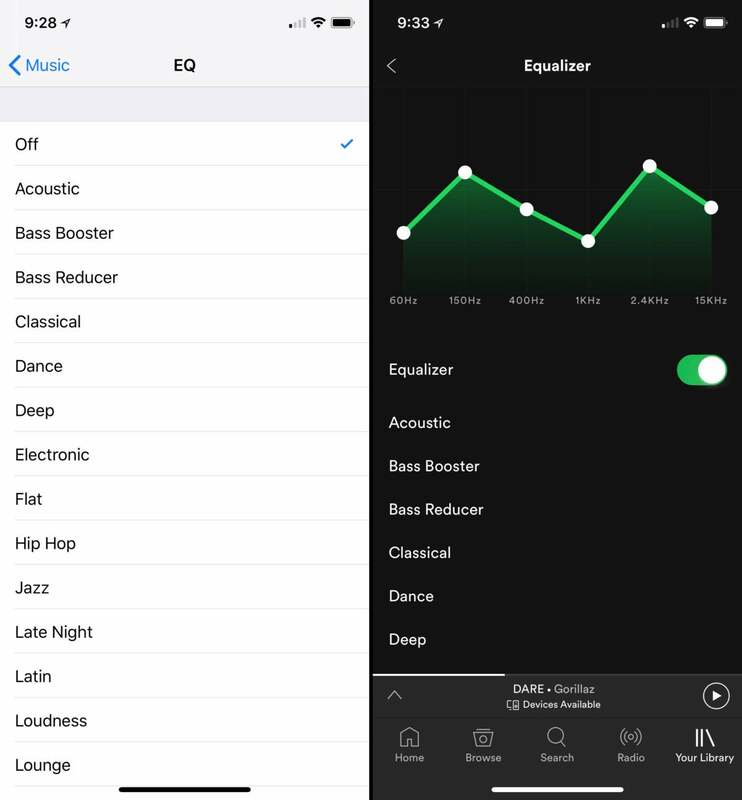 Apple Music's EQ (left) is just a list of presets. Spotify's (right) gives you more control. Spotify does a better job at this. You can keep the list of presets, but give us a custom EQ as well, and put it in the app where it belongs. Or at least link from the Music app directly to the EQ part of the Settings app so it’s easier to find. Apple could get really fancy and copy the audio profiling features found in a few Android phones. They play a series of tones at different frequencies and volumes in the left and right ears, and you tap a button when you hear the sound. It then creates a custom EQ for each ear that is tuned for your headphones and your ears. It’s easy to add a song from a radio station or playlist to my library. There’s a nice + button right there in the lower left. But Beats 1 sometimes plays music that isn’t on Apple Music yet. When it does, change that + button behavior to add the song to a wish list, where it will automatically be downloaded when released. The Apple Music catalog could list upcoming albums and singles, with an “add to wish list” button. Artist pages could have a wish list button that automatically adds any new music they release the moment it drops. We should be able to see our Wish List in the library section, with dates showing when the track was added or when it will be available (for unreleased tracks). Beats 1 is great, but it’s not for everyone. Maybe it’s time to spin up another live radio station or two, each of which focuses on musical tastes that are not well-represented in Beats 1? I'd love to hear the Apple equivalent of a college radio station, maybe even with college radio hosts! Imagine it: You arrive home while listening to Apple Music on your iPhone (with headphones or even in your car). A popup on your phone lets you keep listening on your HomePod right where you left off. Later, you’re settling in do some work on your Mac with your headphones on. A little icon in the dock lets you grab the music from HomePod and start paying it on your Mac, carrying on with the current song and upcoming queue. In short, we need Handoff for Apple Music. With just a tap or two, we should be able to continue our listening session on any device logged into the same Apple ID and on the same network.